The deets: t-shirt c/o Skip N' Whistle; TopShop skirt (similar); Elizabeth and James sunnies; Target x Prabal shoes; Kate Spade earrings; Piperlime clutch; Essie "Mesmerized" nails; Michael Kors watch; necklace c/o Lisa Leonard. I've made no secret of my cat lady status. Weather it be my iPhone case, or the fact that my cat has her own instagram hash-tag (#ellathefluffernugget), I wear my cat loving spinster ways proudly. 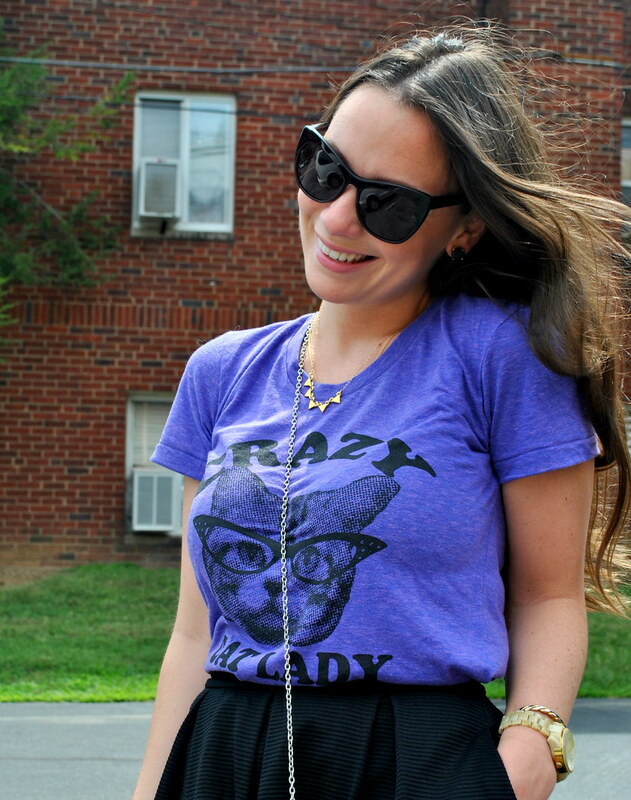 When I discovered this adorable Skip N' Whistle "Crazy Cat Lady" t-shirt (which is made from a super soft american apparel tee) I knew it was too perfect for me to pass up. 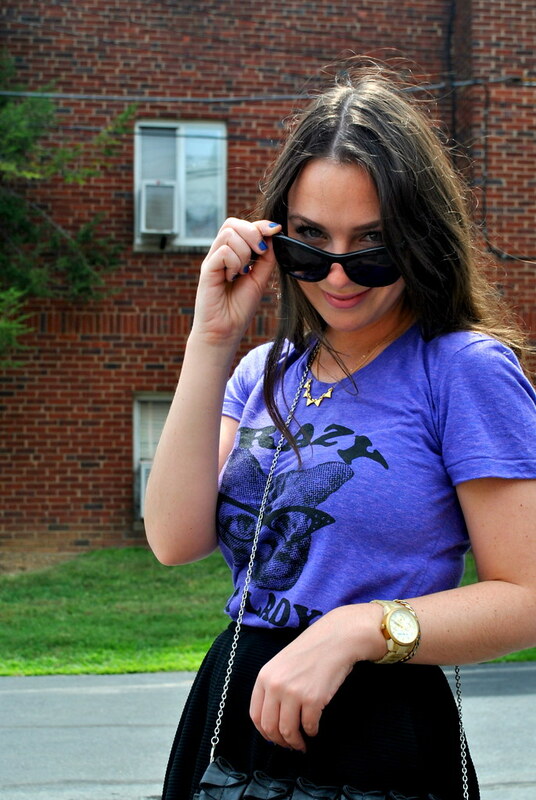 I obviously had to rock my cat eye sunnies with it as the kitty on the shirt is doing the same. MEOW! Loveeee your outfit and how you made it causal chic with a graphic tee. That t-shirt is amazing! I definitely need to get one for myself! 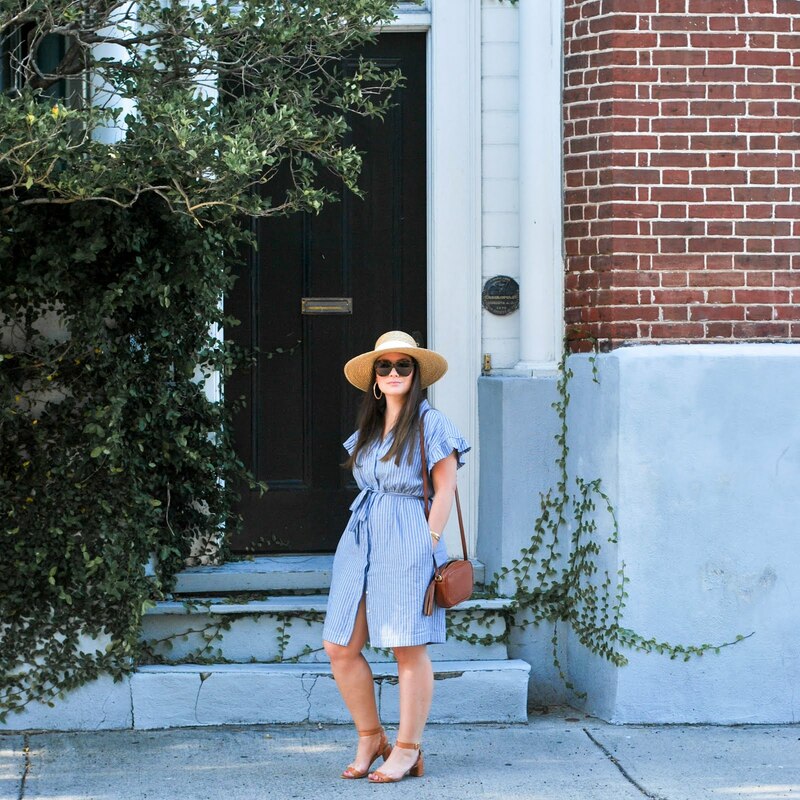 Love how you styled it too, very cute! 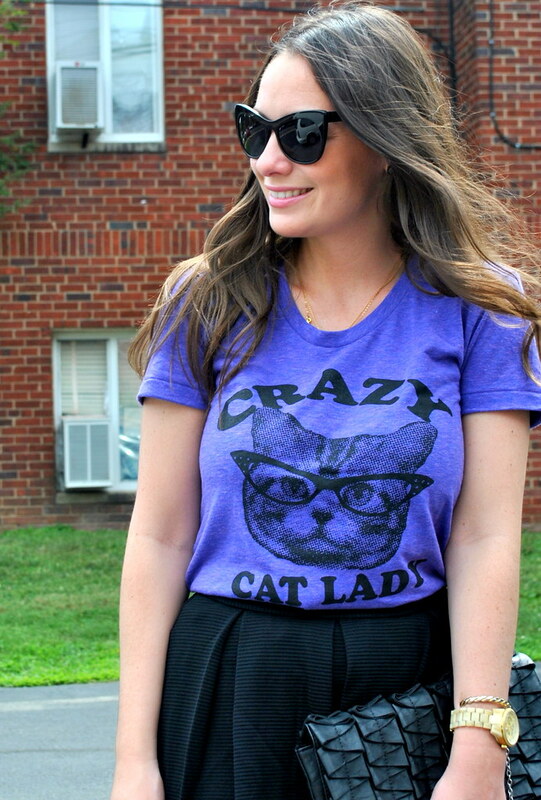 I definitely think you're way too pretty and normal to be the crazy cat lady ;) But I do love that tee! And those shoes :) Such a cutesy outfit! This post makes me so happy. Love the top. And I love kitties. Haha love it–the color is so fun, too!